Just in time for the New Year and new ideas, here are 27 course content ideas for you to up your engagement level. Engagement happens on an emotional level, it means they care and feel a need to proceed. It helps the learner want to achieve more and finish the program. 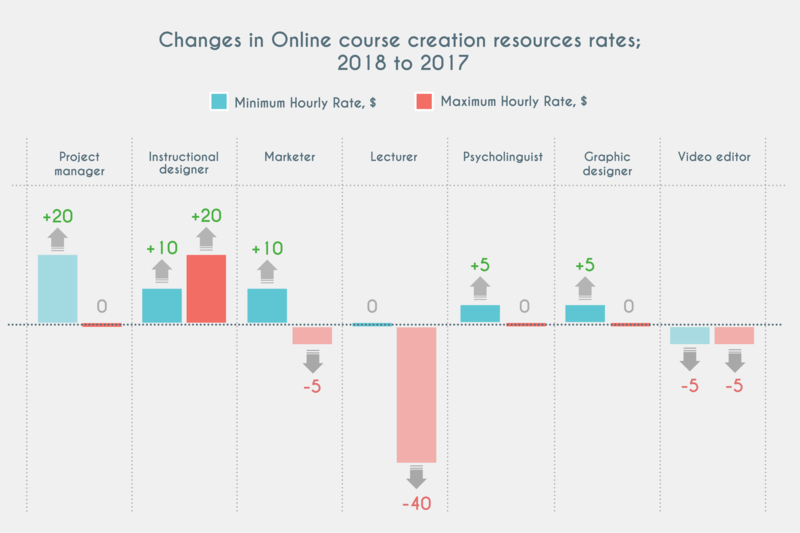 Keeping the learner engaged is a massive problem in online courses these days. Hover or tap to find out now! That's how many learners do NOT finish their online courses. If you’re not sure if this sounds right…think about your own situation. Come on now girl, when was the last time you finished an online course? That’s the truth for the majority. We just don’t. …cause they can be incredibly BORING. But, you are super savvy and brilliant and are going to take some of these ideas I’m sharing today to either create an online course that is amazing or add some beef to an online course you already have. Below I’m going to share with you a load of online course content ideas that will captivate your audience and keep them coming back to FINISH your course! Never create a boring online course again! As you go through, I’d love to hear what you think! Do you have any other types of content that you think I should add…I mean, seriously, there’s always more, right? Video is still Queen when it comes to online course content creation for obvious reasons. People love to watch videos. They just have this way about them that really reels in the learner. You face on the video screen. That’s basically what this is. You talking away to the camera, sharing information or telling a story. This is one of the easiest…and yet toughest for people to create. Those that HATE being in front of the camera will not want to go with this one. BUT, it is the #1 best option to build trust with your audience. Use this video style when you want to show them how to do something on your computer screen. You would also use this to share a powerpoint or slides. This is a fantastic option for the “I hate being on video” people. Still isn’t the best for building trust, but it’s pretty good. I use Camtasia Studio to record all my video with my computer. If you have a podcast that you record every week, then definitely bring that content into your course. You can also record other audio only files and add them. Mix it up with text-based course content. You can use some of what you already have or create new stuff for your course. You can create content much like this one that you’re reading right now. Or maybe it’s a list of ideas or recommendations, book, and more. People LOVE lists. Don’t ask me why, I do not know, but I know I love lists too! If you are sharing a bunch of lingo that is not part of our regular language, then this is an awesome way to add some serious value to your online course. You can add them in along the way, or create a page just for all the terms you want them to understand. Similar to the above, but deeper. You would include more information, like; overview of the topic, background, application, history, criticism, timeline, further reading and/or references. Just like using your previously recorded podcasts, you can also direct your student to a previously written blog on the topic. "Stop creating boring online courses! Engage your learner with these 27 course content ideas." Give `em a little eye candy would ya? Bring in something for them to look at in terms of visual content. It breaks things up and allows you to, potentially, use the content in other ways. If you are sharing numbers, then do so with a visual interpretation rather than just alphanumerical. And, you can share these via Social Media too! Still the best pin post on Pinterest! Infographics are a gorgeous and visually pleasing way to share timelines, statistics, comparisons, and more. Plus, you can share these on other Social Media platforms to engage your audience and lead them back to your online course. You can create your own over here. These are such a fun element to break of heavy content or just to kickstart your learners brain. They also showcase your personality, which is a big bonus. This is where I get mine! Adding photos that work with the content is another great way to break your content up. You can also use them as a story timeline. Bring in some great social media posts (Twitter or Facebook) to give some deeper meaning to your content. These could be quotes or posts you are referencing to make a point. If you are showing them something on your computer but it doesn’t need a video to show them “how”, then take a screenshot and add it to your online course. Add some elements of them getting involved with the course through downloads. These can be PDF’s, Slides, Templates, Images, and more. I create these with Adobe InDesign or Google Slides (I explain this in the freebie at the bottom of this post). Level up the eBook with a workbook style that allows your learner to type straight into the the book rather than printing it off. While this does take a little bit of extra time if you aren’t using Adobe InDesign (so easy with this program), it can be well worth it for your learner. I can’t stand it when I have to print off a massive workbook because i don’t own a. printer – in today’s world, people just don’t see the need to print anymore. As I already mentioned, we LOVE lists and we love checking things off those lists even more, so if you can create a. checklist for your peeps – happy they will be (Yoda voice). You can create this with Canva or as I talk about in the LIVE I just did in. my Facebook group, I find it substantially easier to use a Powerpoint or Slides or Keynote…even easier to use InDesign. Everyone LOVES templates, so why not give them one if. you are sharing information that clearly could use one!? I’m putting these here because they can come is so many forms. You can share video interviews, audio version, or type them out as a he said. she said. You can also create a slider or flip boxes with the Q&A included that way. Build in a community forum where the learners can interact with one another. Not only will this build trust, loyalty and relationships, but it allows your community to help one another so you don’t have to be on top of it. They will learn from each other – yaaas! For WordPress, you can easily add BBPress to get this started. Give your learners actual assignments that they have to complete and submit to you for review. This works really well in larger programs and helps to develop the bond between you and the learner. I use LearnDash for online learning platforms, cause it’s awesome. Allow the learner to take their own notes throughout the course so that they can always go back and see what their thoughts were. Help the learner retain what they just learned. you can do this in different ways, either a full-blown 50 question multiple choice quiz at the end, or you can add 2-3 questions throughout the program to break things up and engage their brain…especially if most of the content is video. Liven things up with personality tests! These are fairly simple to create if you are looking for one outcome. Once you want to showcase percentages of 4 outcomes things get trickier and more expensive. But, if you just keep it simple and go with X number of personalities and the answer to each question is related to one, so the outcome gives them ONE personality, you can do this yourself with H5P. These are substantially more tricky and costly to build, but they can be incredibly useful if you are teaching the learner how to use software. Engage them deeply with gaming elements. Many people think this means actually playing games within the course and while this CAN be what happens, it mostly means bringing gaming elements into the learning platform with progress bars, badging, certificates, leaderboards, etc. Bring in content elements that the learner has to ENGAGE with, like accordions or toggles. What about flip boxes, before and after photos, tabs, ad more. The more they engage, the more interested they will be in coming back. Just click the toggle button above to see more. Tada!! Pretty cool, right? This is fun and easy to create! Before I get to that…you should DEFINITELY grab my free 30 minutes session where I show you HOW I do some of this stuff! Now that you have a bunch from me, I want to know what you’re going to do with them! Don’t just ignore this and create a boring online course, level up girl! Create something that will not only engage them, but will get them talking and telling others about it! Remember, creating an online course is a bit of work, but once it’s done, you can focus on the marketing and building relationships with your audience instead! …or start creating your next course! on these 27 ideas NOW!